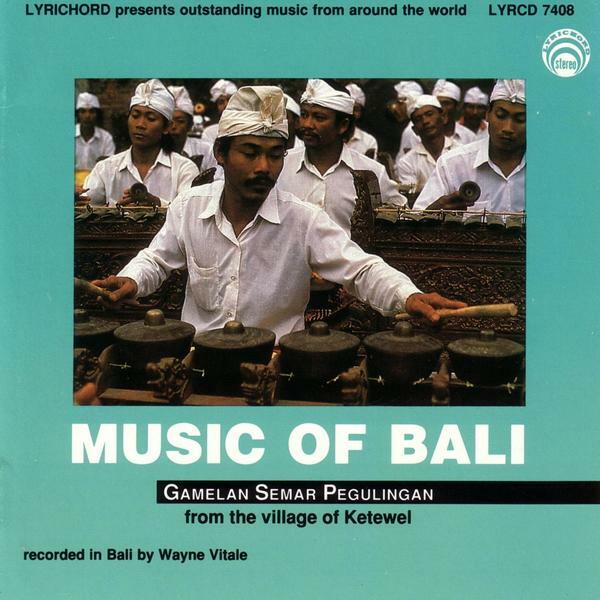 A perfect companion piece to the excellent Gamelan Music Of Bali album on Lyrichord, this set of recordings are far more recent documents, capturing the sounds of the Gamelan Sema Pegulingan of the Ketewel Village in Bali. Apparently the instruments used date back some four hundred years, and their brightness and all round ebullience is captured magnificently on this album. Of all the pieces, on 'Penyelah Gelar Keramas' the level of musicianship - especially timing - is incredible, producing a music that's quite unlike anything else. Highly recommended.